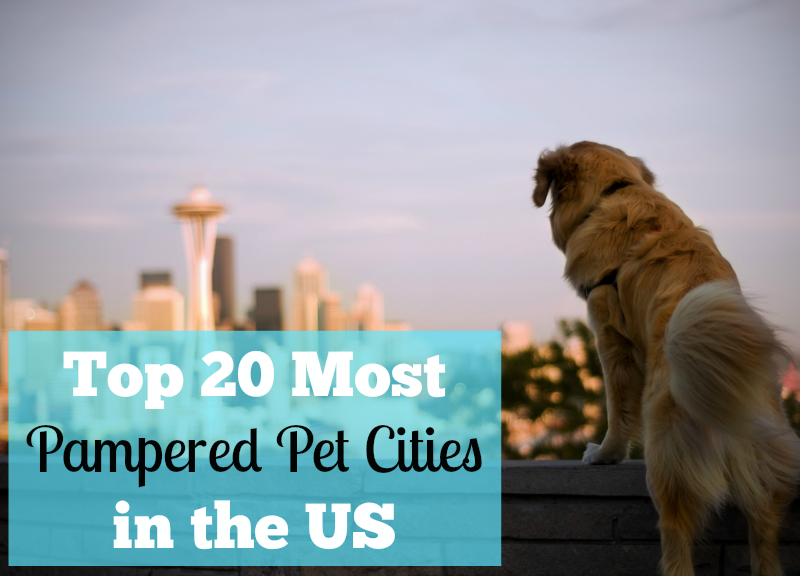 Top 20 Most Pampered Pet Cities in the U.S.
Do you pamper your pet? Millions of Americans consider their pets as loved family members. Many pet parents pamper their pets by buying them toys, clothes, beds, treats, and more. The list of pet products available to consumers is endless. I'm guilty of buying a few things here or there for my own pets. 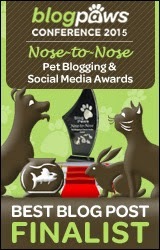 A popular online destination for pet parents to purchase products for their pets is Amazon.com. I know I've purchased items for Shiner from Amazon before, and I'm sure that plenty of you have too. Since May is National Pet Month, Amazon just released a list of the top 20 most pampered pet cities in the U.S. The list is based on 2013 sales of pet-related items. Miami, Florida made it to the number one most pampered pet city in the US. In Miami, popular pets include cats, birds, aquatic animals and reptiles. The residents of Miami bought the most toys for their pets along with the most apparel, accessories, grooming products, and health supplies. 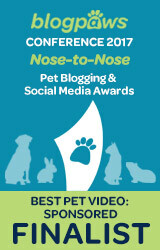 At number two on the list, Seattle pet parents love to treat their pets! Pet parents in Seattle purchased the most treats for their pets. So what are all of these pet parents buying from Amazon anyways? 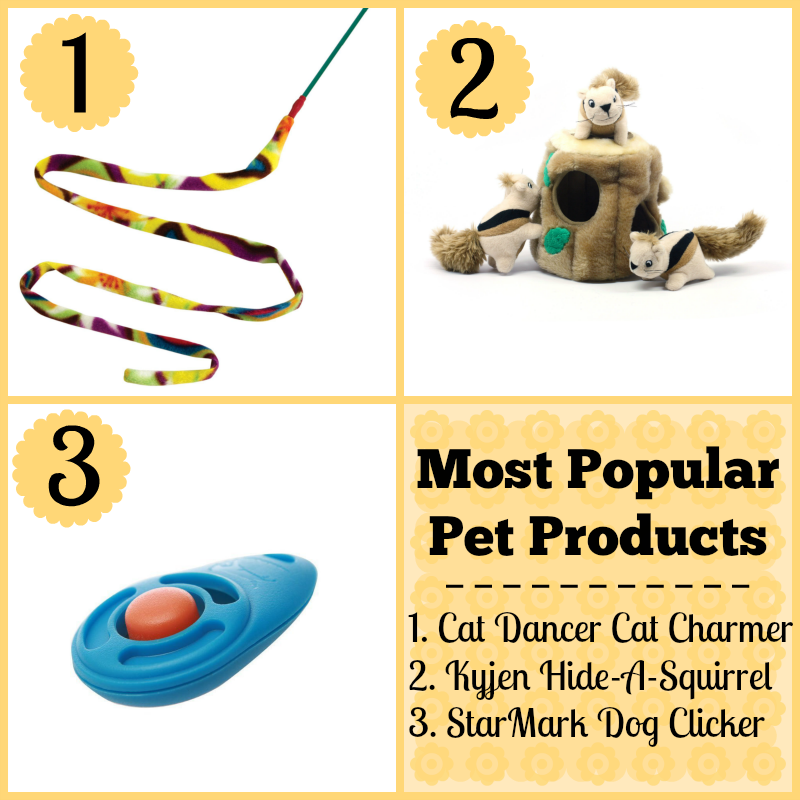 Looks like the most popular pet products sold were the Cat Dancer 301 Cat Charmer Interactive Cat Toy, Kyjen Hide-A-Squirrel Puzzle Toy for Dogs, and the StarMark Clicker Dog Training System. I've heard lots of good things about the Kyjen Hide-A-Squirrel Puzzle Toy. It looks like a fun toy for dogs. I may have to get one for Shiner, although I'm a little worried she'd just de-stuff it too quickly. 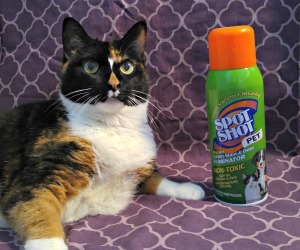 One of my favorite purchases for Shiner from Amazon is Zymox Otic with Hydrocortisone. We used to prescribe it to many dogs for ear infections when I worked at the vet clinic, but since it's a mostly natural treatment it doesn't require a prescription to purchase. Did you know that Amazon is pet friendly too? When you shop on SmileAmazon you can choose your favorite pet-related charitable organization and Amazon will donate 0.5% of the purchase price for tens of millions of eligible items. This was new to me, so I'll have to remember this next time I am shopping there. Did your city make the list as one of the most pampered pet cities in the U.S.? Do you use Amazon to purchase products for your pets? Let us know your favorites in the comments! Well, obviously my small city on the opposite side of the world didn't make it to the list, but I sure hope my staff would start ordering stuff from the web for me a bit more often! Oh no! Lol! Thanks for the tips from one destructo-dog to another. Shiner would probably do the same thing as you Easy. She is always in destruction mode! Yes our city of San Jose is there and yes we order way too much for our 2 pugs from amazon. While the squirrel puzzle is really neat (we have the bee one, same thing) it can be destroyed. We found luck with the penguin from Godogfun, also from amazon. Good stuff! Amazon does have lots of good stuff but we don't buy many toys or stuff since there are so many animals that live here. But it is a great place to shop. Yea, I think I remember seeing Sugar with that one. That list looks pretty good from the cities we have visited. I keep wanting to get a puzzle toy for Torrey. OF COURSE Detroit isn't on the list! Everyone who lives here is broke lol, same goes for my hometown (Cleveland)...nope, as a rule I don't buy pet stuff on Amazon, no particular reason as to why. Cody has #1, definitely NOT a fave of his, his all time favorite is the Neko Flies series, the one with the furry mouse on the end. Cody is all about mice!! I try to purchase elsewhere usually too, but some things I do like to get at Amazon. Like the ear stuff. And books of course, which I didn't mention. Hmm! Interesting!!!! I spoil my pets with stuff I suppose, but I don't really think of it that way. Maybe I should BOL!!! We knew the Twin Cities would not make the list. Dogs aren't allowed anywhere really! On the other hand we have the number two toy. Bailie learned to squeak toys with those little squirrels. It is still being used but we think they are more like chipmunks than squirrels. Too bad it rains so much in Seattle, or we could move there! That was a great list! A few of those cities surprised me but lots we would agree with. shiner...sum times we use amazon durin price comparisonz; they will bee cheaper.....N frank lee even tho de squirrels toy bee for dawgs we wood like ta haza crack at him az well !! I bet kitties could have some fun with it too! Another reason to live in Miami! Better weather and more pampering! They forgot to include our island! Well, at least one Texas city made it on the list =) The west coast seems to have it goin on. Denver is pretty friendly except for having BSL. Nothing here in New England, but I'm not really surprised. We're not the most pet friendly area. I do shop on Amazon, in fact I have a gift card to use for it, and a long list of things to look for (my dogs are only semi-spoiled though - lol). The list doesn't surprise me. Although, I'm sad that there's no Canadian version of the list. I'd love to see where Toronto is (probably top three, if not first). Not us either, but we still sorta claim Austin, so .... long-distance WOOT!! Ooooh, I'm thrilled to see a clicker as a best selling item. That's great. I'm particularly jealous of Seattle since they allow dogs on their public transportation. Not being able to travel with Honey is the biggest downside to living without a car. But does wanting to take Honey places mean she's pampered? Or does pampering just refer to buying stuff for our critters? Los Angeles is working towards becoming a No Kill city, based on Austin's model. Paws crossed, but it seems to be progressing nicely!